Australian Schools Consultants offer free services for parents and students from overseas. If you are interested in going to school in Australia – you are in the right place! Schools Australia - Free Service - Our Registered International Student Center is designed to help you succeed with your Australian school application. Our Schools in Australia agents can help you to find the right school and to get prepared for all types of Australian education pathways. Stick with us to learn in Australia! learn about Australian School courses and studying in Australia. get prepared for your stay in Australia, book a flight, get insurance etc. get a guardian while visiting a school in Australia. If you want to enrol into a School in Australia, please contact our registered School Australia advisers. Go To Australia can assist you to find public or private schooling, which allow you or your child to study as an international student. 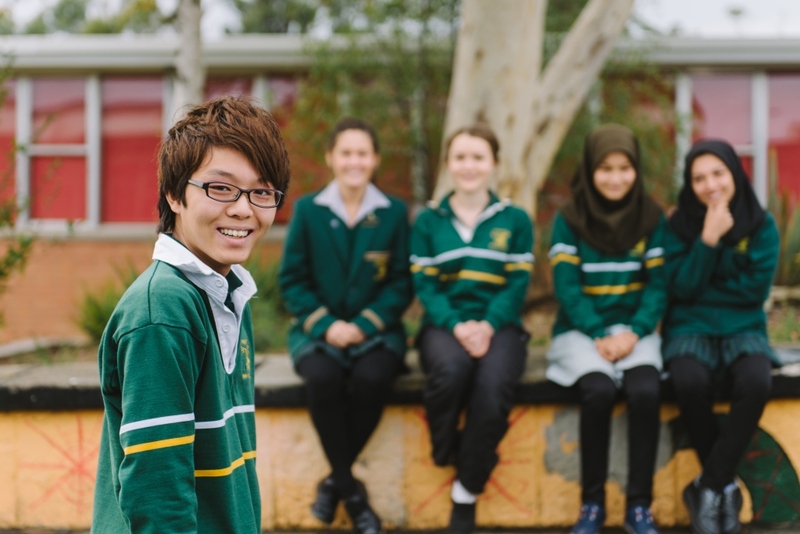 The schools provide a safe, caring and culturally diverse environment for young students. Australian schools cater for a variety of subjects, they have highly trained and experienced personnel, and the most current technology available in Australia. 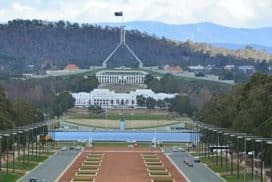 Australian Government legislation requires schools to ensure high educational standards, satisfactory premises and financial protection if international students are enrolled. They also need to provide dedicated English language support. As there are over 12,000 international students in Australian schools and waiting lists are common it is recommended to enrol as early as possible. The national curriculum framework ensures that subjects in eight Key Learning Areas are taught: English, Mathematics, Social Studies and the Environment, Science, Arts, Languages Technology and Personal Development (including Health and Physical Education), which are intensified at secondary level. As the Australian school system provides vocational training in many secondary schools, students are in even more demand by employers due to their practical and career-orientated skills. Children may start with preschool followed by 12 years of primary and secondary school. In year 12, you may sit for a government-endorsed certificate that provides possible entry to an Australian or international university, vocational education or training institution. The academic year is divided into four terms and runs from late January/early February until December; between the terms is a short holiday and a long summer holiday from December until the new year starts. School times are generally Monday to Friday from 9.00 am to 3.30 pm each school day. Fees vary from $5,000 - $11,000 per year for primary and junior secondary schools and from AUD $6,000-AUD$13,000 per year for secondary schools. If you want to enroll into a School in Australia, please contact our registered school Australia advisers. Are you a student hoping to study and make new friends from around the world in Australia? Or perhaps, you are a parent hoping to give your son or daughter the opportunity to learn and perfect English in a top ranking, safe and clean environment such as Australia? If so, congratulations for taking the first step towards realising your aspiration. The education counselors at Go To Australia have the professional skills and knowledge needed to provide you with proper support, guidance and advice on all aspects of your Australian study experience. The AA Education Network counselling services are provided free of charge and both students and their parents/ caregivers have access to this service before, during and after the students' Australian study experience. The information, support and guidance provided by our counselors will cover most aspects of your Australian study experience. Information that you can expect to receive from AA Education Network counselors can include an outline of the Australian education system, types of schools available throughout Australia, the Australian national curriculum and even more specific curricula and extra- curricula subjects offered by individual schools of your choice. You can also expect to receive information, support and guidance regarding various issues such as visa application, homestays, qualifications recognition, translation services, and you will also receive information with regard to insurance, tuition fees and other money matters. As each student will experience Australia in their own unique way, we therefore encourage communication from all our students and their parents throughout their Australian adventure. This is so that we can provide a professional and personalised service to our students in order to ensure that their Australian study experience will be a positive one. Should you have any questions, issues or concerns regarding any subjects that has not yet already been described in our website, or should you wish to proceed with an application, please feel free to contact one of our friendly staff at Go To Australia. Our School Australia Website provides an international network of professional education counsellors, to support international students studying in Australia. If you're a parent or student looking for a school in Australia for your child, anywhere in Australia, you'll get free counselling here. Our team helps you find every school that matches your needs and circumstances. We are constantly striving to provide new levels of excellence in student care. Australia is a popular country for international students of all different ages. The weather varies depending on where you travel from the subtropical climate of Queensland to the snow-filled winters of Tasmania. 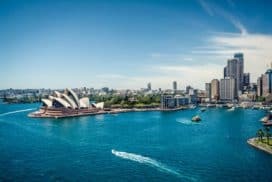 No matter which city you may start your Australian adventure in, you can just as easily hop on one of the frequently scheduled and competitively priced domestic airlines to visit other or all of the Australian cities, states and territories. Wherever you go, Australia is filled with things to do and places to see. Possibly the most cost effective and affordable schooling option in Australia, Government Schooling is fully funded by the Australian Government and is the most popular option in Australia. Offering Primary and High Schools they will always be separate. There will nearly always be a Primary School in each suburb and a High School in each council or shire district area. One of three types of schooling options in Australia, including the two more expensive options being Private and Independent Schooling. Don't think you are missing out going to a public school. Public School students have the same opportunities of those attending a Private or Independent School. The same subjects are available as well as offering specific classes for those wanting to enter the work force, TAFE or University after completion of Year 12. Public Schools have smaller School fee's and the cost and requirements of uniforms are usually alot less, however uniforms are mandatory in all Australian Schools. Government Schooling is a great place to send your child. These programs are for students intending to study at primary level and who are accompanied by a parent or guardian. The student has the option to study from primary level up to secondary through to graduation. Special conditions apply in that the ongoing welfare and accommodation arrangements are the sole responsibility of the parent or guardian. Fees are payable in Australian dollars and include OSHC. Private Schools Australia: run by religious and community sectors, such as Catholic or Christian College's or Anglican Grammar Schools. Small-size classes, safe homestay. An increasingly popular method of schooling, the mid way between the two extremes of Public or Government Schooling and Independent Schools. Usually down to earth with out being over the top. A nice medium in a professional homely environment, the ideal place to send you child to ensure they have a well balanced future. Private Schools are mostly run by Religious and Community Sectors which is why they are usually called Catholic or Christian College's or Anglican Grammar Schools. They are partly funded by the Australian Government. There will mostly be smaller class sizes and nice exclusive and safe facilities. Many of these Schools will have their own Primary, Middle and Secondary School or have sister schools which students can move from one to another. Known for their friendly natures and community spirit these schools are an ideal schooling option giving children a great start in life and giving them the skills they will require to have a successful and bright future. Private Schools are a very popular choice and you will see more and more of them popping up all over Australia as there becomes a bigger demand for a more affordable school offering more options. independent private schools of other religious persuasions. Private schools in Australia receive a subsidy from both federal and state governments, however, they mainly depend on tuition fees. Independent Schools are not Australian Government Funded meaning higher school fees and smaller class sizes which is a plus. The three main types of schooling in Australia consist of Public or Government Schooling, Private Schooling and then Independent Schools. Independent Schools are not Australian Government Funded meaning higher school fees and smaller class sizes which is a plus. Every parent wants their child to get all the attention they require whilst completing school. Smaller class sizes will always help with this. Independent Schools will usually require you to purchase more elaborate School uniforms. There will be more excursions, more extra - curricular activities and sporting events, and more focus on each student as an individual. Independent Schools will usually have bigger campus's, offering classes for children from Kindergarten to Year 12. These campus's will have more facilities with more specialist teachers including special music and art areas, bigger Gymnasiums, swimming pools and tennis courts many of the Independent Schools will even have their own Rowing Clubs and school Horse Riding teams. Australian Independent Schools are known for being expensive and exclusive compared to their government and private counterparts. Government or Public Schools which are fully funded by the Australian Government and Private Schools which are partially funded by the Australian Government. How ever as the saying goes you get what you pay for. Australian Independent Schools may be more expensive then others but here you get smaller class sizes, specialist teachers, more specialised classes as well as more subject choices, extra curricular activities, more facilities (most of these schools have their own swimming pools, tennis courts, gymnasiums, more ovals, many even have their own environment areas where students learn to care for the environment as well as growing their own food and plants. Also offering yearly specialised camps for students in High School). Independent Schools run for Kindergarten to Year 12, meaning students don't have to move schools. There is usually also smaller school fee's if siblings are also attending the school. 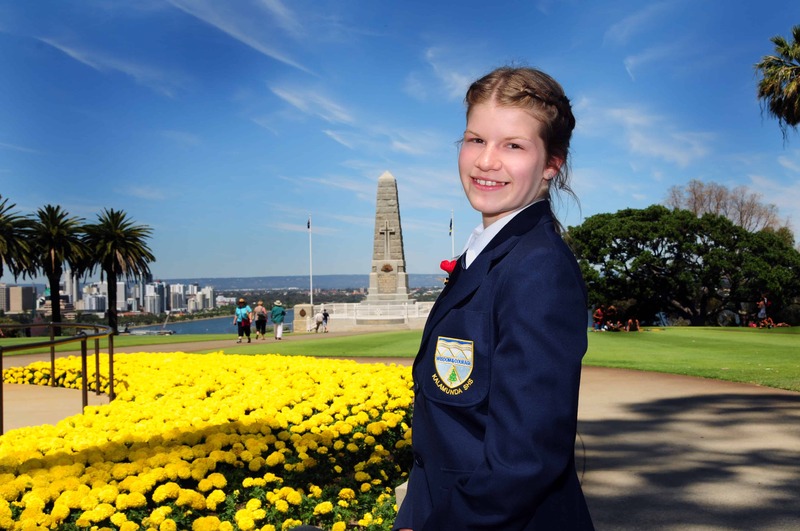 There are many Independent Schools around each capital city in Australia and they are well worth the extra. Senior Secondary Education Australia: student enrol in Year 11 and Year 12 to study further at universities or vocational studies. 4 terms. Most international students enter the Australian school system in the final two years of high school, Years 11 and 12. Successful completion of these two years prepares students for further study at technical institutes or universities in Australia. Are you thinking about getting into an Australian high school, are you a parent concerned about your child future success, or are you simply thinking of doing something different - our Senior Secondary Education Advisor for Australia will answer your questions! 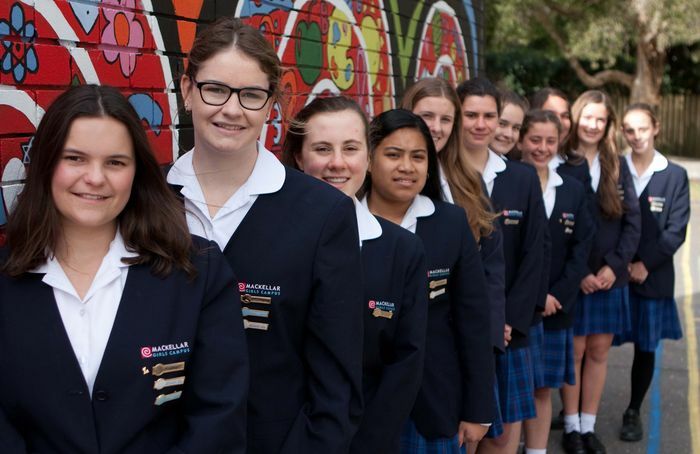 Senior Secondary School covers the last two years of secondary education in Australia, and is the best pathway for entering an Australian university. What's more, Australian schools provide a standard and quality of education equal to the best in the world. 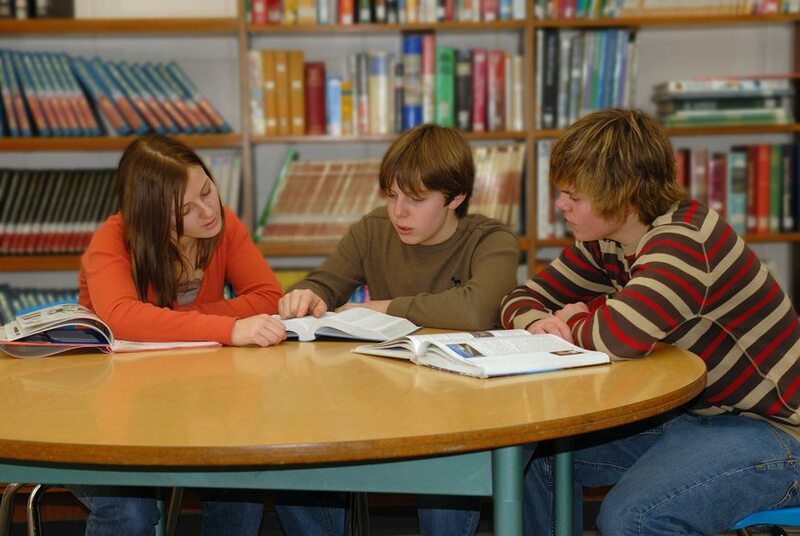 They take into account the needs, talents and interests of individual students and offer excellent support services. The syllabus between public and private schools has only minor variations. In any school you will take a public (external) exam at the end of Year 12 which indicates satisfactory completion of secondary education. Senior Secondary schools in Australia teach compulsory as well as elective courses. Around two thirds of secondary school students attend government secondary schools and one third attend private or independent schools. The school year is divided into four terms and runs from late January/early February until December. There is a short holiday between terms and a long summer holiday in December and January. Students attend school from Monday to Friday each week. School hours vary slightly across Australia but are generally from 9.00 am to 3.30 pm each school day. Secondary education is the stage of education following primary school. Secondary schools are generally the final stage of compulsory education. The next stage of education is usually TAFE, private college or university. NB: In some states students may be slightly younger, it varies between states. Some Independent schools also vary in whether grade 7 is secondary or primary as well as the existence of middle school. Secondary students in Australia are required to complete 12 years of schooling, including a preparatory year. Year 12 students can obtain a Senior Secondary Certificate of Education that is nationally recognised for the purpose of admission to universities, TAFE colleges & Technical Institutes. Students may also be eligible for admission to international universities since Australia's qualifications framework is renowned internationally. The key learning areas in Australian secondary schools are English & Maths, Study of Society & The Environment, Science, Foreign Languages, Technology, Health & Physical Education. These are the priority areas as identified by the Australian Federal government. Students can use their final year qualification to gain entry to universities & colleges. Others may choose to attend schooling that is complemented by vocational training in order to better prepare themselves for the job market. If you wish to study at an Australian secondary school, it is highly recommended that you first consult a trained education counsellor in order to make an informed choice. The AA Education Network offers the services of a trained counsellor with indepth knowledge of the Australian secondary system. More Information about Schools in Australia - There are many schools where international students can enrol. 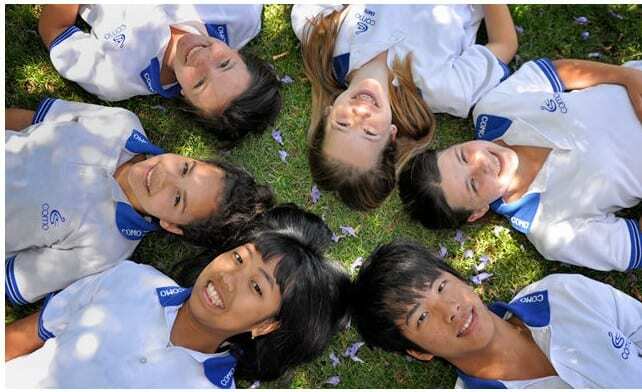 We are able to offer international school programs in all Australian locations. School in Australia includes preschool, preparatory (kindergarten), primary school, secondary school ( high school) and senior secondary school (college). High expectations and an atmosphere of inclusiveness are the key features of schooling, in order to produce a higher quality life for everyone living in Australia. In order to achieve this goal, the Australian education system places the onus on students to help create a safe and conductive school environment. This focuses on the right of students to learn, but also gives the students the responsibility to act in a productive and considerate manner. The rights and responsibilities of the student are mutually inclusive, and vital in creating a harmonious environment. Australian schools require students to adopt high expectations for their personal achievements and their own behaviour. Students are held accountable for their actions and are taught, by clearly articulated school practices, that their actions have outcomes, be they positive or negative. Positive behaviour is encouraged with a whole school approach which gives everyone, from students to the school principal, opportunities to foster good behaviour. Within the school environment, students must show respect for themselves and for other people, while teachers and other authoritative figures are required to model good behaviour. All members of the school community are obliged to act in a lawful and conscientious manner at all times. In the event of bad behaviour, the school will consider the misbehaving students situation as well as the safety of the school environment in determining consequences. Schools employ a range of techniques and work with other educational agencies to assist the student in developing positive habits. Schools only use suspension or cancellation of enrolment as a last resort, or if the student is endangering the lives of others. These principles ensure that students are receiving the best education possible in a secure environment, and also teaches the students about responsibility and the consequences of their actions. International students in Australia and their parents enjoy a level of service and financial protection that is unrivalled. Australia is firmly committed to providing quality education and training and offers strong assurances to international students. Both public and private institutions must meet high standards of quality and ethical practice which take into account such issues as curriculum, qualifications of teaching staff and facilities, including specialist equipment. Australian qualifications are recognized by employers and leading educational institutions in many countries around the world. The National Office of Overseas Skills Recognition (AEI-NOOSR), which is part of Australian Education International, assists Australian institutions to recognize qualifications from overseas. NOOSR also works to promote the recognition of Australian qualifications internationally. If you want to enrol into a School in Australia, please our qualified Australian School counselors. Student Visa for School Visits in Australia & Student Guardianship - All school students, including those participating in a secondary school exchange programme will be required to apply. Australia is a country which must be visited at least once in a lifetime for you to truly appreciate the wonders that lie on the such diverse soil. What an amazing opportunity it would be as a high school student to either come and stay in Australia to study as an exchange student or with family living in Australia. This is why the Australian government offer Primary and Secondary School Student Visa's to eligible students. Australian schooling is split into two sectors with privately run schools and the public government run schools. There is a range of different educational and schooling options which I'm sure will meet each students needs. 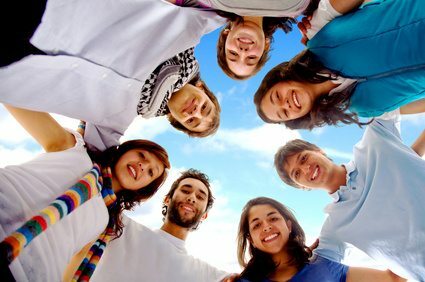 When applying for the student visa you must meet certain visa requirements these include, being enrolled in a registered course, have adequate English language skills, have the financial capability to fund for yourself during your stay in Australia, have over seas health insurance during your stay in Australia, and if your are under eighteen you will require your parents and guardians permission as well as arrangements for your accommodation and welfare during your stay in Australia. 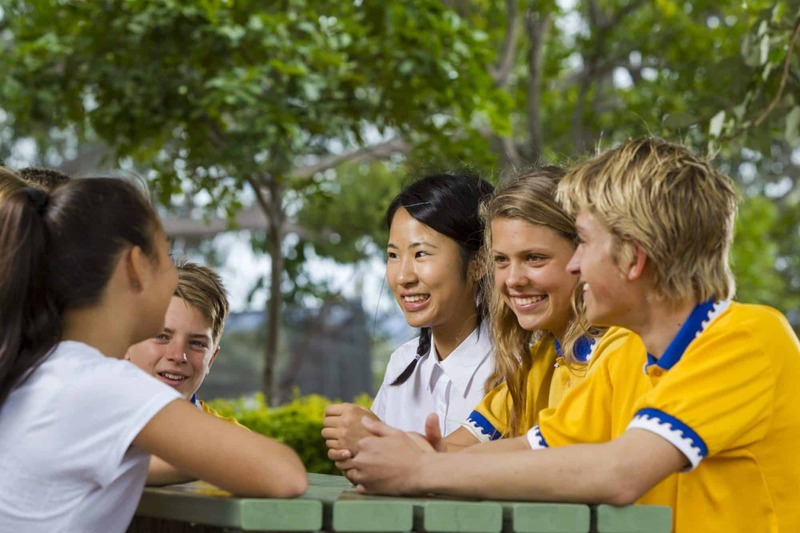 Many Australian High Schools offer student exchange and home stay programs, placing the student in the housing and care of a Australian government approved family. For a more convenient and cost effective option. Your acception for a student visa will be based on an assessment program which the Department of Immigration runs, this will be based on a risk level which is determined on where you are from and what you are studying. You are also eligible to work for 20 hours a week once you have commenced your study. Please remember your student visa is for temporary stay, and you will require a valid passport for travel into Australia. if you want to enrol into one of the many Schools in Australia, please contact our registered Australia School advisers. If an international student under the age of 18 is required to study in Australia they will need to be accompanied by either their parent or a legal guardian. In this case the guardian will require a Student Guardian Visa. If the student requiring a Guardian is under the age of six the Guardian will not be eligible for a visa, unless and this has happened in very few circumstances. If a child is under the age of six and has a valid passport in a country that is subject to Assessment Level 1 or 2 of the Schools Sector student visa, and hold exceptional circumstances. Here you may be eligible for a Student Guardian Visa. When applying for a visa there is a non-refundable visa application charge which must be paid. Holding a Student Guardian Visa will let you live in Australia for the length of time you are required as a student guardian or until the child turns 18. You will be able to bring your own dependant children under the age of six with you, as well as having the right to study in Australia for three months. Australia's Schooling System: Schools in Australia cater for students for 13 years, from preparatory to senior secondary. It is compulsory to visit a Schools in Australia until at least the age of 16. We inform parents and students about the School System in Australia. 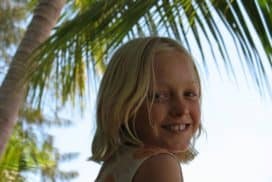 With a full range of educational and recreational opportunities available many students are choosing to study away from the pollution and noise of the industrialised world in this relaxed and friendly tropical paradise. Australian Schools offer first class education and have long established traditions. Australia is a great and safe place to study abroad. Australian Schools offers students a comprehensive study experience and a gateway to a successful future in one of the world's most spectacular environments. Australian School's high quality courses caters for students who may wish to enter University or TAFE. All the courses are taught by top professionals in the field. By contacting us you are ensuring that you will have all the facts to help you make an decision regarding your Australian school opportunities. Responsibility for education is divided between state and territory governments and the federal government. State and territory governments are responsible for school education, and provide and manage government schools as well as supporting non-government schools. The federal government, through the Department of Education, Science and Training (DEST) provides supplementary funding to support certain strategies and priorities such as literacy and numeracy programs, and is responsible for higher education. Shared between the state and territory and federal governments is vocational education and training. You may find the system of teaching and school discipline very different in Australia. Less importance is placed on outward discipline and memorising than is done in many other countries. Emphasis is put on self discipline, on learning by finding out and by questioning, and encouraging a child's interest and enthusiasm for learning. Schools encourage parent involvement and wish to help newcomers. Most schools have parent and teacher associations which play an active part in school life, raising funds for many school needs but also helping to decide what is taught and done at the school. Parent skills are valued and your involvement is welcome. Schooling is compulsory for students in most states and territories until the age of fifteen. Although students are able to leave at that time, most students do not leave until they complete their Year 10 qualification, with many students continuing on to complete their Year 12 studies. Our programs offer high quality education in a safe and modern environment. For requirements and other important information, please contact our professional student advisers. High school education in Australia is an attractive career option for international students as it gives them a scope to study a subject they want or built up a career in the industry they are interested in pursuing. Some international students study at high schools in Australia to enjoy world-class education offered in Australian schools, especially in a spacious campus with attractive facilities. Few others want an international recognition so that they can study further at a prestigious college or university while there are others who want a quick and effective pathway to a job-ready course. Whichever path you choose, all major high schools in Australia will help you to reach your target. In situations where students need additional assistance, the school arranges for special classes and programs to ensure all students are equipped with the necessary prerequisites to pursue further options in life. The Australian school system is divided into public schools and private schools. In each system are two levels of schools, primary and secondary schools. The primary school, referred to as "elementary", usually comprises the grades of prep year through the seventh grade. Secondary school, called "high school", normally offers education from the eight through the twelfth grade. Progression from one grade to another and from one level of school to the next is predicated on successful completion of the previous grade or school. Graduation from each grade and from each level of school takes place upon successful completion of required course work. There is no comprehensive examination required for passing from year to year or for graduation. High school graduation is regarded as the end of basic education and follows the completion of the twelfth grade. Basic education is compulsory in all states, and, depending on the state, a child is required to attend school until the age of 16. High school graduation is not mandatory. Colleges offers the next two years after high school and is generally accepted as equivalent to two years of college. Go To Australia guarantees a personalised service to students who wish to go to school in Australia, matching each individual student with an appropriate Australian school and selected Australian host family. 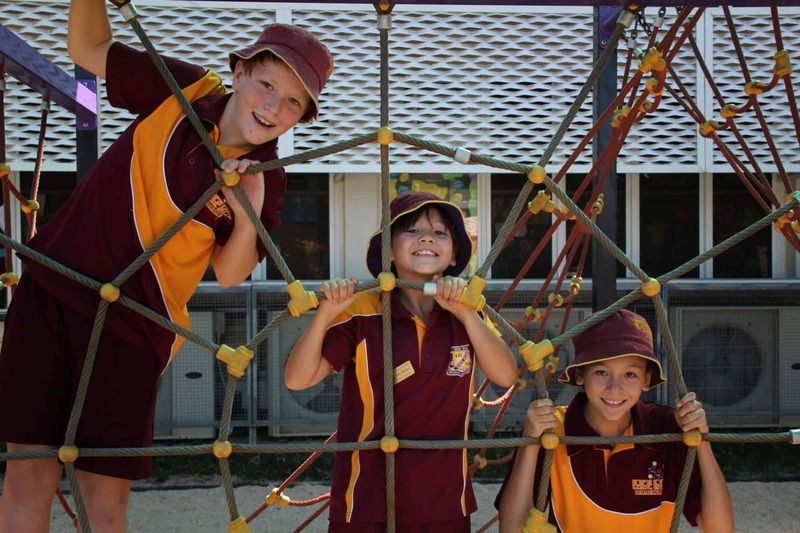 Schools in Australia promote learning which emphasises on creativity and innovation. The goal in state schools is to provide quality education that is future oriented enabling students achieve their full potential. A safe, supportive and disciplined environment is important to effective learning. All students have a right to learn, all teachers have a right to teach and all have a right to be safe. The Code of school behaviour outlines the responsibilities that the members of the school community should uphold. The code is used as a base to provide positive support that encourages achievement and good behaviour and a clear outline of the consequences of inappropriate behaviour. Actively participate in the education program. Be responsible for their behaviour and learning. Respect themselves and other members of the school community and environment. Respect the rights of others as well as their right to learn. Cooperate with the school authority and staff. Suspension, exclusion or cancellation of enrolment. These however are given after consideration of all other responses. For students who continuously do not keep The Code, alternative programs and also input from other agencies is deemed necessary. Professionalism: Being committed to the highest performance and accountability standards. Innovative and Creative: Having environments that support creativity and innovation. Diversity and Inclusiveness: Promoting participation in education and different cultural activities. Excellence: Encouraging the achievement of excellence. Parents will have peace of mind knowing that schools in Australia develop the individual talents of young students in a safe, caring and culturally diverse environment. Australian schools also offer a wide range of subjects, highly trained and experienced teachers, and the use of state-of-the-art technology and specialised laboratories.There are two broad categories of schools in Australia - government and private schools. Both accept international students and receive government funding. Most schools are co-educational with the exception of some private secondary schools. Private secondary schools are usually not co-educational and often have a religious affiliation. All schools in Australia accepting international students must be government-registered and have to meet special requirements under Australian Government legislation ensuring high educational standards, satisfactory premises and financial protection. Another requirement is to provide, or have access to, specialist English language support. There are over 12,000 international students in Australian schools. Some schools and colleges cater exclusively for international students. Others have long traditions of exchanging their own students with international students. School enrolments may be limited simply because the availability of spaces is at a premium. It is wise to make your enrolment enquiries early and inquire about waiting lists. If you want to enrol into a School in Australia, please contact our registered Australian School advisers. Schooling in Australia: How to Choose the Best Schools in Australia? Choosing the right Australian school is a big decision. So you are thinking about studying in Australia. You have done a bit of research yourself and have found out that there are simply way too many schools in Australia for you to choose from! Don't worry, we know how overwhelming this can be and we would like to help. As a starter, please take some time to think about and answer the following questions. Would you like to be in a big city, a small town or somewhere in between? Would you prefer to study in a large school or a small one? Do you have relatives in Australia? Where are they situated? and would you like to be placed close to them? Urban areas such as Sydney and Melbourne has a large international student population whereas the number is low in more rural areas such as Mission Beach and Central Tilba. With this in mind, Would you like to study in a school with many or few international students? Once you have answers to the above questions, please feel free to contact us with the above information and we will do our best to match your preferences with one of the schools in Australia! Australian public and private schools are openly competing for international students for what is now turning out to be a industry with bright future prospects. Australia's multicultural mosaic has made this recruitment process easier. International students from all walks of life, Chinese, Vietnamese, Europeans, Americans and various other nationalities are truly benefiting from the vibrant international atmosphere for cross-cultural dialogue. With a competitive exchange rate, a strong and robust economy and a world class education system, Australian schools are positioning themselves in the intense competition to attract international students. if you want to enrol into one of the many Schools in Australia, please contact our Australian School advisers. Sending your child to school in Australia is a special occasion, but one which leaves you with many questions and really struggling to know where to start. It is an occasion that you really need to be sure of the facts so that your child can be set for a perfect start to their Australian Education. Schooling in Australia leaves parents with many options. There is kindergarten which can be community based of if your child is expected to go to Independent or Private schooling will be provided by these schools. Then you need to think of Primary Schools, Middle Schools and High Schools, and of course which type of school you wish to send them to. In Australia there are three option for schooling including Public or Government Schools, Private Schools or Independent Schools. Here we hope to help you to understand each of these schooling types to help you make the best decision for you, your child and your family. if you want to enrol into one of the many Schools in Australia, please contact our registered Australian School advisers. If you want to enrol in a High School in Australia, our School Australia counselors will help you during the entire process. Please contact our registered Australia School advisers for more information! Numbers of international students continue to grow across Australia government schools with Term 1 2018 numbers increasing by 8.8% from Term 1 2017. 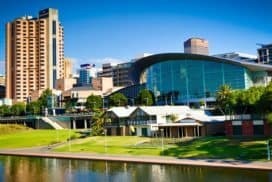 This increase could not be achieved without the support of our valued agents who continue to promote South Australia as a study destination, including spreading the word regarding the quality of programs offered in our schools and the benefits of our centralised school australia support services and homestay program. New Horizons Australia Institute of Technology is a Registered Training Organisation with learning centres in Sydney, Brisbane and Melbourne. What makes the school unique is that they embed vendor certifications within their qualifications, and students study alongside Australian technology professionals also studying at the school. At New Horizons trainers are passionate and dedicated about creating success stories for all of our students. They have been delivering technology training for over 35 years, to both individuals and corporate organisations. Completion of the EAP I Program at IH Sydney with an exit level equivalent to IELTS 5.5 for ICT50115 – Diploma of Information Technology. Completion of the EAP2 Program at IH Sydney with an exit level equivalent to IELTS 6.0 for ICT60115 – Advanced Diploma of Information Technology. On Thursday 17 August New Horizons will be hosting an information session for International Education Agents, reserve your seat here.